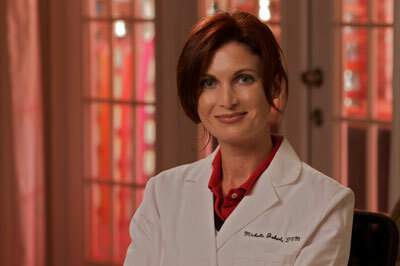 Dr. Michelle L. Jobert is a native of New Orleans, LA. She majored in animal science at Texas A&M University before entering Louisiana State University, School of Veterinary Medicine. She graduated from LSU in 2001. She then moved to Lexington, Kentucky, where she worked for two years at Rood and Riddle Equine Hospital before moving to south Florida. Once in south Florida, she began working at a private practice servicing thoroughbred race tracks. Dr. Jobert obtained her acupuncture certification in 2003 and her Chinese herbal certification in 2011 from The Chi Institute in Gainesville, FL. She obtained her chiropractic certification from The Healing Oasis in Sturtevant, WI in 2007. She then pursued certification through the American Veterinary Chiropractic Association. * Michelle loved what holistic medicine could do for animals, so she opened her own practice in 2007. Her practice focuses on holistic veterinary medicine for small and large animals. Dr. Jobert is a member of the American Veterinary Medical Association, the American Academy of Veterinary Acupuncture, the International Veterinary Acupuncture Society, and is certified through the American Veterinary Chiropractic Association.